Mary Dowlen Sweatt—age 94 of Nashville, passed away Sunday, January 28, 2018, at NHC Place at the Trace. She was born March 28, 1923, in Pleasant View, TN to the late Dr. W.M. and Edith Scott Dowlen. She was preceded in death by her husband, John T. “Bill” Sweatt, parents, and eight siblings. She is survived by her children, Cynthia M. Sweatt and Mary Ann Greenough of Nashville, Thomas M. Sweatt (Beverly) of Colleyville, TX, and Virginia E. Watson (Bernard) of Waldorf, MD. She is survived by her five granddaughters, Camille (Doug) Oubre of Spring Hill, TN, Candice (Jason) Tant, Franklin, TN, Katherine Sweatt of Birmingham, AL, Elizabeth Sweatt of Franklin, TN, and Mary Claire Sweatt of Colleyville, TX. 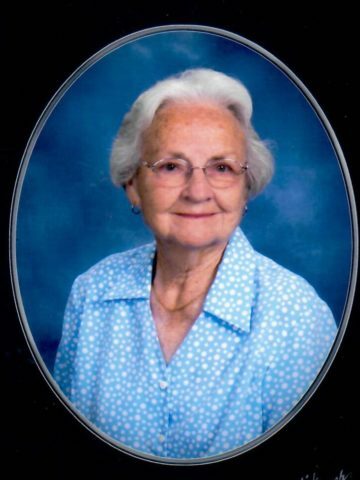 She is also survived by four great grandchildren, Leah and Owen Oubre and Anna Clare and Buckley Tant. A sister-in-law, Idalia Dowlen of Murfreesboro, TN, also survives her, as well as several nieces and nephews. Since 1955, Mary was a member of Belle Meade United Methodist Church. She graduated from Cumberland High School where she was crowned homecoming queen and she also attended Draughon’s Business College. In her children’s younger days, she devoted much of her time to Parmer School’s P.T.A. In her professional life, Mary was J.C. Bradford’s secretary and was secretary to the Director of the Small Business Administration. Visitation will be Wednesday, January 31, from 12-2 p.m. at Harpeth Hills Funeral Home, 9090 Hwy 100, with service to follow at 2 p.m. Interment will be at Harpeth Hills Memory Gardens. The family wishes to thank Douglas Holliday, M.D., the caregivers and staff at NHC Place at the Trace, and CARIS Hospice for their wonderful care. Mary loved genealogy, gardening, sewing, mint chocolate chip ice cream, and Fox News. Memorial donations may be made to CARIS Healthcare or charity of your choice. Our condolences to all the family. Mary Edith was welcomed at the reunions on our side of the Dowlen family (Joe Dowlen, brother to Uncle Madell) . Sarah, my wife was at Martin College with Jane and Bud before we met; interesting world. Our thoughts and prayers are with each of you in your loss. Mary Edith was a gracious lady. I am son of Murleen Dowlen Ellis ( joe’s daughter) and a Fox News connassuer as well; must run in the family. Love the time I got to spend with Virginia and Mary Edith. Wish it had been more! Dolly had so many stories about those girls! The Scott and Colleen Pertile family wish to extend our deepest sympathy to Mary’s family. I unfortunately never had the privilege to personally meet “Grandma Mary”, but it was through her Loving Granddaughter, Camille, that I was able to gain much insight on how wonderful she truly was. God bless. Words do not do justice to this great lady, it was a priviledge to be a nephew. Tom, Beverly, Katherine, Elizabeth and Mary Claire, We are so sorry for your loss. Our thoughts and prayers are with each of you. Thoughts and Prayers are with all of the family…..Me Mary was a delight to take care of I loved hearing her stories about her Daddy and Mother and her grandparents ….I took care of her for awhile….before moving to NHC we all missed her little comments and her little face expressions…..she will truly be missed. I am so sorry for your loss Mary Ann. She lived a long life just as my father Harold son of Joe Dowlen did but it doesn’t make you miss them any less. You are always welcome to our reunion. Good day, Me myself adore lol! And so far I just loved your blog.